Shaw Engineering have been providing the highest standards of workmanship, service and customer care in the field of precision engineering since 1991. We've invested significantly in our machinery and equipment, allowing us to provide a prompt, professional service for our clients. Need to design and manufacture a bespoke part or product? Outsourcing the project to Shaw Engineering could save you time and money. If your business is undertaking a project requiring precision engineering and manufacturing, but doesn't have the capacity for the work to be carried out on site, outsourcing your requirements may be the most cost-effective option. Based in Leyland, Preston, Shaw Engineering offers a reliable, professional precision engineering and machining service for a wide range of applications. We offer our clients the benefit of more than 20 years' experience. We design and manufacture an extensive range of precision machined products and components, working with many different materials. The majority of our work is on a sub-contract basis. 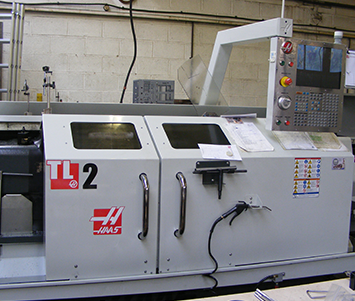 Our work ranges from one-off commissions to large scale CNC production batches. All work is undertaken at our modern, fully equipped facility. Our team of skilled, time-served engineers is conversant with the latest CNC/CAD practices. We can also create detailed prototypes, providing you with a likeness of the final product before we proceed to the production stage. As an independent business, we pride ourselves on offering a personal, transparent service, supporting clients at every stage. We appreciate that many of our clients' projects are time-sensitive, which is why we carefully plan each aspect of our work, ensuring we are able to deliver their requirements within the agreed deadline. If you would like to find out more about Shaw Engineering and the range of services we provide across Leyland, Preston and surrounding areas, please do not hesitate to get in touch.